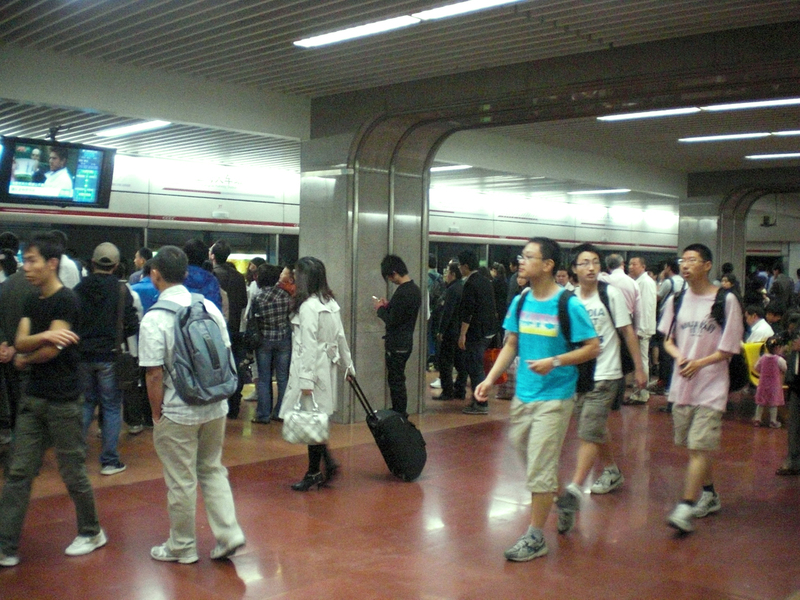 Shanghai’s main mode of transportation is the train. Before heading to China, I read a book on Shanghai and it said that it is so congested that even CEOs use a combination of bus, train, cab, and walking to get to certain destinations. Of course, I believed this because I was under the impression that China is overpopulated (Shanghai is the country’s most populous city) but I didn’t experience any traffic at all. The Shanghai Metro has 11 lines that connects the city. 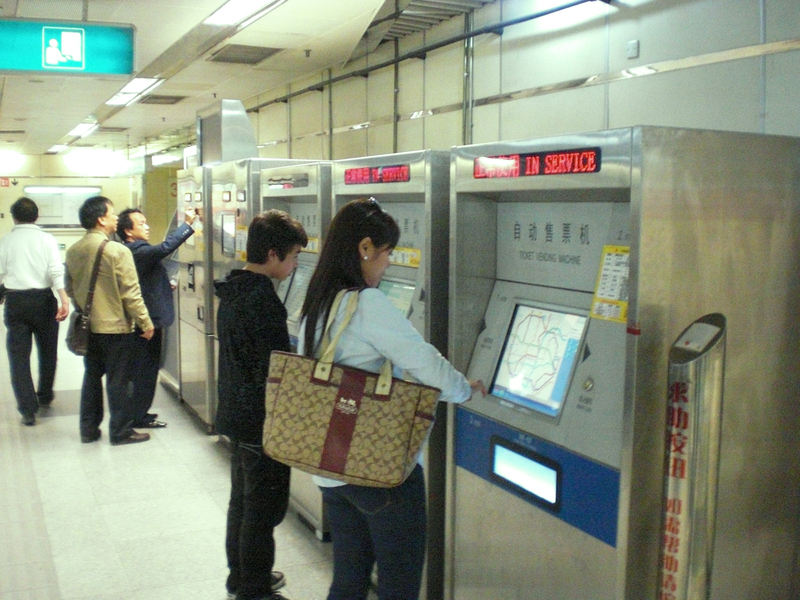 As long as you know where you’re going, you can take the train to practically anywhere in Shanghai. Tickets are roughly Y3 (P21) and it’s kind of like the Philippines – it’s crowded, but not to the point where you’re squished against each other. 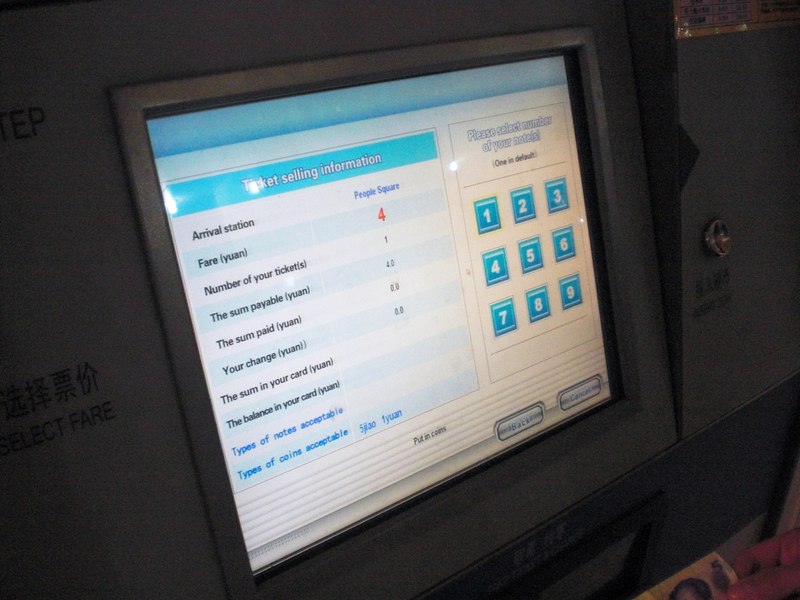 Tickets are bought on a machine that accepts both coins and bills. Isn’t it so high-tech? Thankfully, there is an English translation so we didn’t struggle that much. And yes, it’s touch-screen. The tickets are cute. This is my favorite, for obvious reasons. 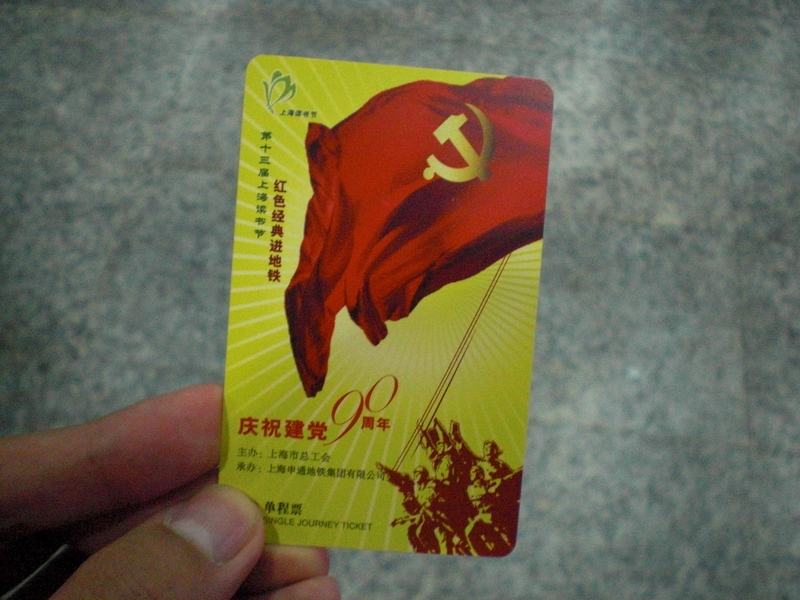 I like communism. A normal day at the train station. 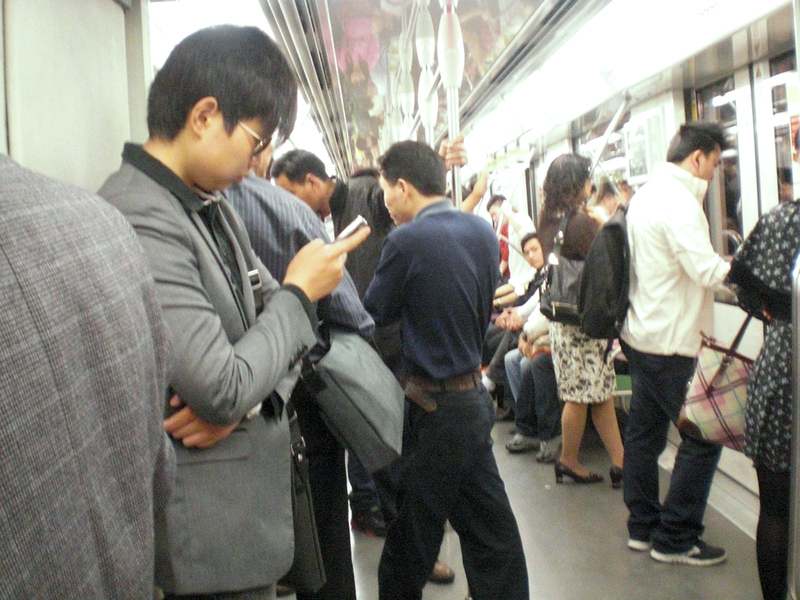 It’s not as crowded as the trains in the Philippines, considering that the Shanghai Metro is the fourth busiest metro line in the world. Each doorway has this to guide commuters, which is really helpful especially to foreigners who have no idea what the next station is. 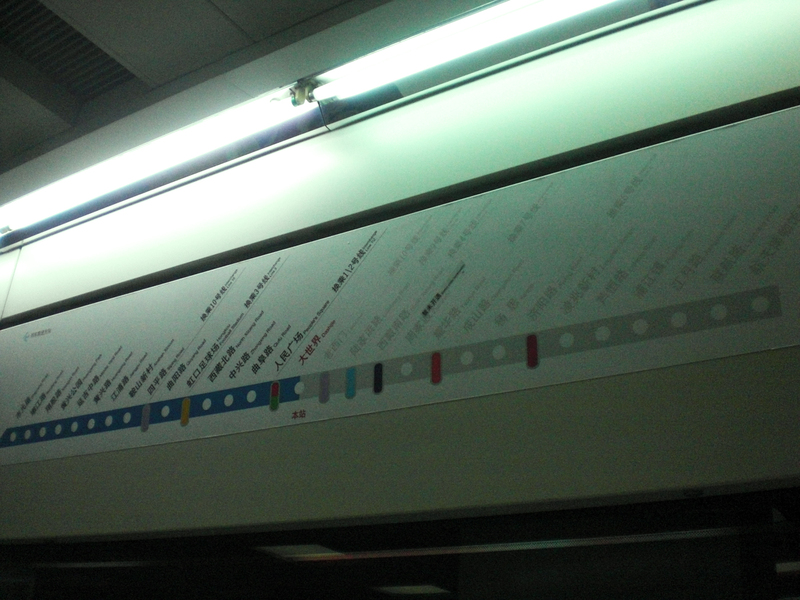 The PA also had English translations so we never missed a stop or got lost. The only problem we experienced were the exits. There were so many that led to different places so it can be a little confusing for first-timers. Inside the train. Like the ones in the Philippines, seats are offered to ladies, the disabled and the old. They also have buses but we couldn’t figure out the route because they spoke in Chinese. There are also tourist buses that will take you to key places in the city. You can just hop on and alight wherever you want. However, you need to buy a ticket somewhere to avail of the service. 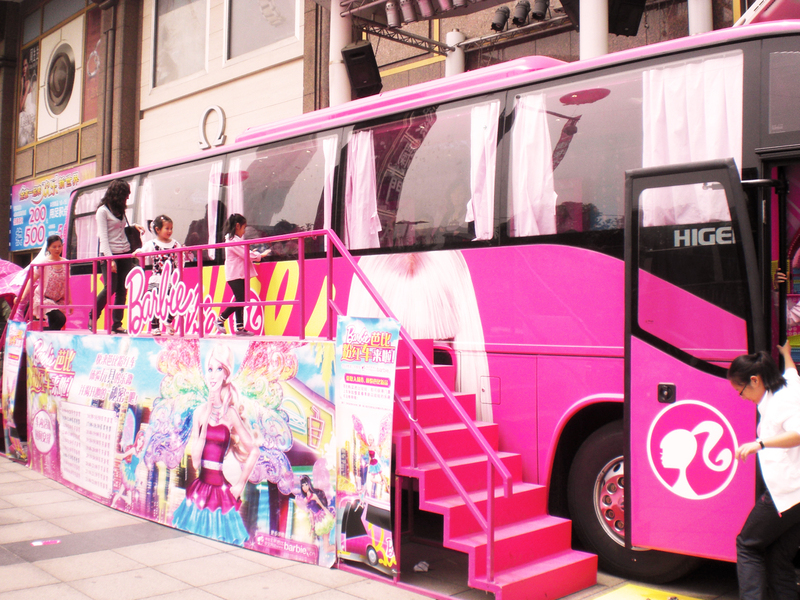 While walking in Nanjing Lu, I saw a Barbie bus. There was a six-floor Barbie museum in Shanghai that closed down a few weeks ago. Perhaps this will take me to a new one? Cabs are everywhere, too. They’re not like the cabs here that charge a fixed fee; they all rigorously follow the meter system. Rates start at Y12 (P84) but most of the time, we pay the flat rate. That’s how slow it moves, so getting a cab isn’t a bad idea if you’re tired, lost, or carrying tons of shopping bags.